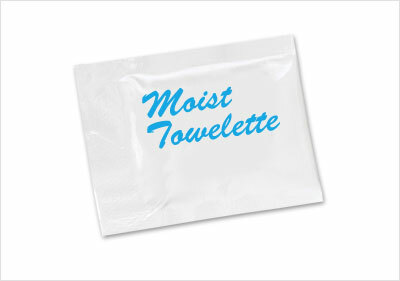 A moist towelette can come in handy on occasion where there is no access to a sink or other washing facility, especially when camping or in other outdoor areas. These are available commercially, but if you only need a few and you don’t want to buy a case of 1000 and you don’t want any of the commercial brands that use toxic hand sanitizers, then you can make a pretty good version of your own very quickly and easily with a paper towel, water, a little rubbing alcohol and a sandwich bag. It is easier than one would think to make non dairy almond milk. All you need is some raw almonds, water, vanilla extract and raw honey or blue agave nectar as a sweetener. There can be many reasons why you would want to use a non-dairy milk instead of cow’s milk. You can use it in cooking recipes, cereal, blended drinks, etc. Start by soaking some raw almonds in water overnight (between 8 to 12 hours). The next day, rinse the soaked nuts and add them to a blender along with 4 cups of water, sweetener and a little vanilla extract. Simply blend it and strain it. If you make a lot of nut milk, you can buy a nut milk bag. You can obtain one online from many sources at a reasonable cost. It will make the straining step a lot easier and you can reuse the bag over and over. Soak one lb of nuts in water in a 2 qt. mason jar overnight (8-12 hours). The next day, rinse the nuts and add the soaked nuts, with 4 cups of water, vanilla extract and sweetener to a blender. Blend until smooth – not too long – only as long as you can hear it it rattling in the blender. Strain through cheesecloth or a nut milk bag and refrigerate. Shown below is a photo of all the ingredients: left to right – sweetener, vanilla extract, raw almonds and an empty mason jar. Start by soaking the nuts overnight (between 8 and 12 hours). Rinse the nuts and add them to a blender with four cups of water, sweetener and vanilla extract. Blend until smooth. Note: don’t overdo it. If you use a nut milk bag, if it is blended too finely it can clog the mesh. Place the cheesecloth over the coffee maker funnel. Strain the blended mixture through the cheesecloth. Squeeze it all out and you’re done. Perfect substitute for cow’s milk when a non-dairy milk is desired. You can make your own homemade salad dressing very easily in about 5-10 minutes with this healthy recipe. The main advantage is that you can control the ingredients – you know what’s going into it. Welcome to Healthy Recipes 360. This website is dedicated to all people who wish to live a healthier life by preparing healthy meals.